A few weeks ago I attended a seminar given by Amylin Pharmaceutical, manufacturer of Byetta and Symlin, in of all places Carnegie Hall. I have no complaints, it included lunch and a tour – and an important education. Amylin’s seminar, “New Approach to type 2 Diabetes Management” had five prestigious presenters at the helm: Dr. Louis Aronne, Clinical Professor of Medicine, Weill Cornell Medical College and obesity expert; Dr. Robert Chilton, Cardiovascular surgeon, University of Texas Health Science Center; Dr. Donna Ryan, Obesity expert, Pennington Biomedical Research Center; MEd Molly Gee, Dietician, Baylor College of Medicine; Dr. Matthew Wintle, UK, Director of R&D, Amylin. The new approach proposes that the same attention on glucose control for type 2s must be given to cardiovascular risks. We heard from the presenters that type 2 diabetes is a cardiovascular disease. As Dr. Chilton warned, people with type 2 diabetes have a two-to-four-fold increase in risk of stroke and coronary heart disease and a two-to-five-fold increase in risk of heart failure, and will likely die due to cardiovascular disease. Cardiovascular risks: obesity, blood pressure, cholesterol, triglycerides and inflammation, (also known as metabolic syndrome) typically accompany type 2 diabetes. If we don’t control these health ailments, cardiovascular events will occur in greater numbers as the tide of type 2 diabetes rises. In all disclosure, Amylin is working on a drug that will help control cardiovascular disease risks as well as glucose, and not produce weight gain. The catch-22 of course is that weight gain contributes to cardiovascular risk and some diabetes medications cause weight gain. I came away from the Amylin seminar thinking unmanaged type 2 diabetes is a time bomb, and for the first time I understood why the American Diabetes Association has long advocated a low fat/high carb diet; obesity prompts the hormonal imbalances that create metabolic syndrome. I won’t get into healthy fats vs. unhealthy fats or that unused carbs also turn into fat. Suffice to say, if you have type 2 diabetes, get your vitals checked and ask about your heart health. 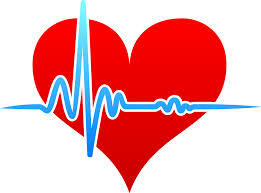 As February is American Heart Month it’s a good time to learn more about your heart health and risk for heart disease. Cardiovascular disease is America’s number 1 killer – every 25 seconds someone experiences a cardiovascular event and every minute someone dies. It is time, I agree, to think ‘heart’ as well as ‘sugar’ if you have type 2 diabetes. I’ve long heard that people with type 2 diabetes have as much chance of having a heart attack as people who’ve already had one. Somehow it doesn’t sink in unless you’ve had a heart attack or until you see, as I did, the stunning pictures of what clogged arteries look like. To show support for heart month, this Friday you’re encouraged to wear red. I’d also ask you to show support for your heart: Take a walk and make that doctor’s appointment to check out your heart-health. Then you can toast your heart-healthy actions with a glass of heart-healthy red wine.